Vice President Leni Robredo is currently clinging on to her position on her finger tips as she desperately asks the Presidential Electoral Tribunal (PET) to consider the votes that are 25% shaded. 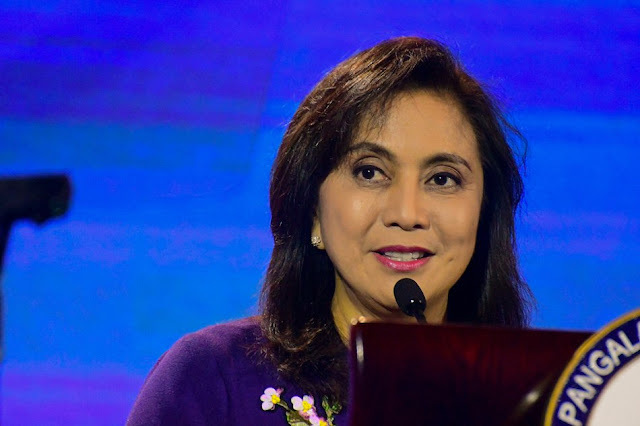 But Robredo’s luck is indeed over, since the resolution that the PET came with was that there is “no basis to impose a 25% threshold in determining whether a vote is valid." "The Court is not aware of any COMELEC (Commission on Elections) Resolution that states the applicability of a 25% threshold; and the Tribunal cannot treat the Random Manual Audit Guidelines and Report as proof of the threshold used by the COMELEC." "In fact, COMELEC Resolution No. 8804, as amended by COMELEC Resolution No. 9164, which is COMELEC’s procedure for the recount of ballots in election protests within its jurisdiction, does not mention a 25% threshold." With the PET’s resolution cementing the decision to junk Robredo’s desperate petition, the PET repeated that the percentage to be considered valid was 50% and not 25%, thus making Robredo’s claims inaccurate! The Protestee's claim that the Commission on Elections, as purportedly confirmed by the Random Manual Audit Guidelines and Report, applies the 25% threshold percentage in determining a valid vote is inaccurate." Robredo has been completely trashed here and is clearly desperately trying to look for an opportunity or technical error in order to forfeit Senator Bongbong Marcos’ impending victory as the truly legitimate Vice President. This sort of desperation is a sham and shame for any kind of government official, she should just accept her faith silently, for as far as news goes, she’s innocent when it came to the alleged cheating of her party list.